After a full refurbishment, the South London Mikvah has now reopened! 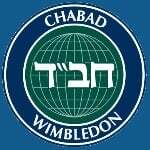 The South London Mikvah is situated at the Chabad Wimbledon, which is 4 minutes walk from Wimbledon Station, the last stop on the District line. It is 20 minutes from Waterloo on South West Trains, and approximately 30 minutes from Central London and 45 minutes from Heathrow. at least one to two days in advance, when possible.